Thank you for your interest in Oximeter Pods. Please complete and submit the form below and an ADInstruments representative will aim to get in touch within one working day. If you’d like to speak to someone immediately, office contact information is available from the contact page. 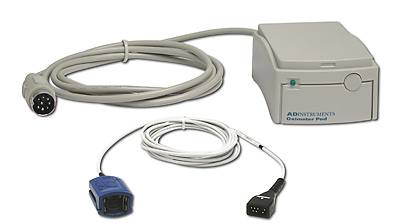 Suitable for measuring pulse oximetry from an animal paw or tongue. 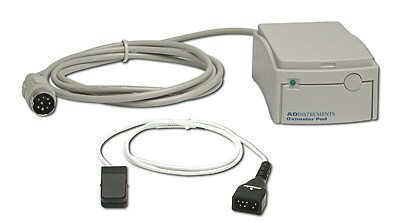 Suitable for measuring pulse oximetry from an animal underside, base of the tail or other well-vascularized surfaces. Configured specifically for measuring pulse oximetry from the animal tail. A research ear-clip device used for the non-invasive measurement of blood oxygen saturation in humans. A research finger-clip device used for the non-invasive measurement of blood oxygen saturation in humans. Oximeter Pods are used for the non-invasive measurement of blood oxygen saturation (SpO2) in human and animals. Oximeter Pods plug directly into a PowerLab Pod Port or a Pod Expander. Oximeter Pods for non-invasive measurement of blood oxygen saturation (SpO2) are available in two types, one for recording from humans, while the other for recording from animals. Oximeter Pods plug directly into a PowerLab Pod Port or a Pod Expander. Human SpO2 can be measured via a SpO2 Finger Clip or SpO2 Ear Clip with the corresponding compatible Oximeter Pod. Direct saturation readings in the range of 70 to 100% can be made without the need to perform any other scaling. 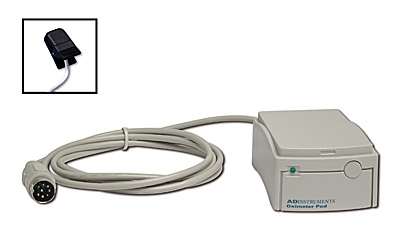 ADInstruments Oximeter Pods are research devices that are not intended for consumer use in the home. Animal can be measured via an SpO2 Animal Clip, SpO2 Base Sensor or SpO2 Wrap Sensor with the corresponding compatible Oximeter Pod. Semiconductor light emitting diodes in the transducer. Pre-calibrated to read in % SpO2. The scale is fixed at 100% SpO2. An alarm will sound if the value of the SpO2 drops below 70% or the pulse cannot be detected. 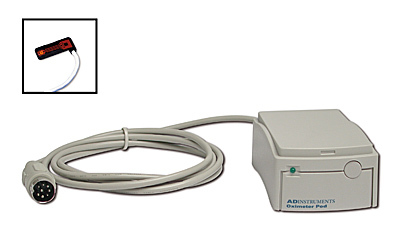 Animal Oximeter Pod (ML325) is not suitable for mice (rats and larger). Operating Principle: Non-invasive blood oxygen saturation (SpO2) determination using red and infrared light passed through pulsating blood in vascular tissue.